I have more than enough trouble finding the time and money to satisfy my existing road and track cycling addictions. 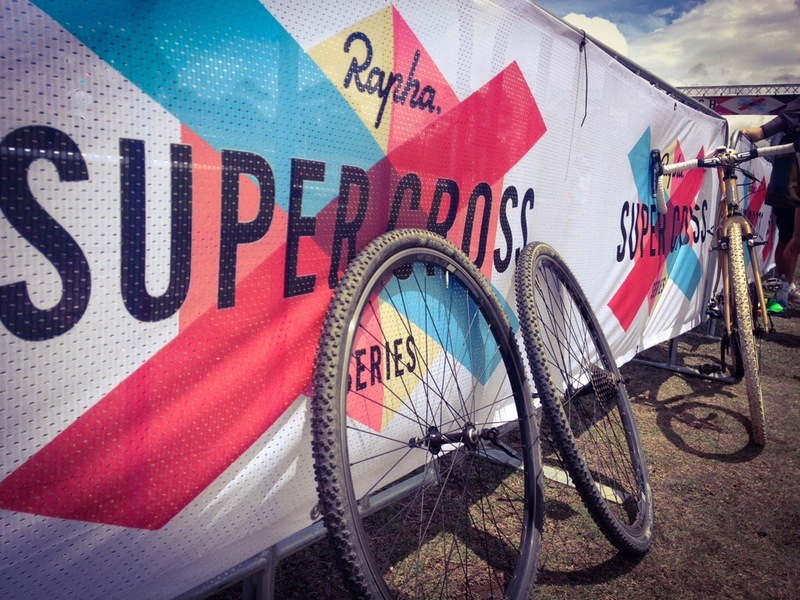 So it was with some caution but definite curiosity I made my way to Sydney Park this afternoon to check out something new: the local leg of the Rapha Supercross Series. The course was a spectator’s dream, marked out via endless rolls of pink and black Rapha tape on a grassy hillside. 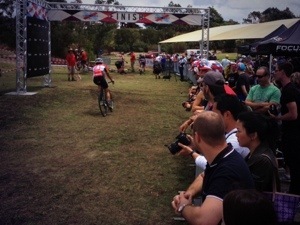 You could pretty much see everything without moving a muscle; in stark contrast to the riders who were busting pretty much every muscle in their bodies on the soft but remarkably mud-free course considering the recent Sydney weather. The National Champ, Allan Iacuone, was there. Not sure of exact numbers but it looked like maybe 30+ riders started the men’s ‘elite’ race, although with one guy fronting up on a MTB wearing nothing but leather gardening gloves and red budgie smugglers (no, not Tony Abbott) clearly not every rider fit the ‘elite’ classification. Once again, the inclusiveness of cycling shone brightly however and he was welcome to do his thing whilst far more serious entrants did theirs around him. Not surprisingly on what seemed from where I was standing a pretty brutal layout, things strung out quickly and there were plenty of DNFs after a gruelling 50 minutes or so of racing. It my have been hard to ride, but it was fun to watch. 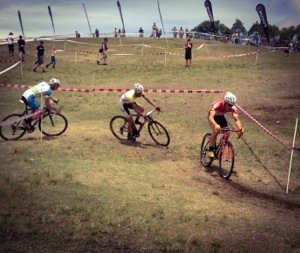 There was crashing, fishtailing around corners, punctures galore, powerslides, and the odd bit of bike carrying. Even the reigning CX National Champ, Allan Iacuone, came off at one stage mid-race dropping his chain and, effectively, any chance of victory. At one stage Richie Porte swung by to say “hi” to the crowd, there were freebies for the kids in the shape of Rapha caps and cowbells (thanks very much Rapha, especially when the kids start ringing them at 4am tomorrow! ), and even a foam machine to make things interesting. No, not the Prime Minister. 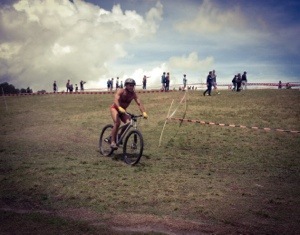 But a paid up entrant in the elite men’s race.